Audio Equipment Hire, a full list of audio equipment available for rental. Below is a comprehensive audio equipment hire list of all the gear we have available for hire or rental in Auckland. On this page we list the our audio gear including mixers, speakers, amplifiers, microphones and Fx units, including make and model. We try our best to make it simple for you to hire audio equipment from us, just give us a text, email or call us on 021 358 577. Soundcraft SIEx3 – 32 channel digital mixing desk with 16 outputs or aux sends, built in effects, compressors and more – $150+GST. Allen & Heath WZ31602 MixWiz – 16 channel desk with 6 aux sends and built in effects – $100+GST. Presonus StudioLIVE 24 – 24 channel digital desk with 10 auxillary sends and built in effects, compressors and more – $120+GST. Allen & Heath QU24 – 24 channel digital mixing desk with 10 aux sends and built in effects, compressors and more – $150+GST. Helixboard24 – 16 channel desk with 4 aux sends, built in effects and FIREWIRE recording output – $100+GST. Allen & Heath Zed 14FX – 14 channel mixing desk with 8 mono and 3 stereo inputs – $80+GST. Allen & Heath Zed 12FX – 12 channel mixing desk with 6 mono and 3 stereo inputs – $60+GST. Allen & Heath Zed 10FX – 10 channel mixing desk with 4 mono inputs and 3 stereo inputs – $40+GST. Pioneer DJM900SRT – Professional DJ Mixer with 4 stereo input channels and Serato capability – $100+GST. Pioneer DJM800 – Professional DJ Mixer with 4 stereo input channels – $75+GST. Pioneer DJM600 – Professional DJ Mixer with 4 stereo input channels – $60+GST. Rane SL3 – Serato Scratch Live Box – $50+GST. Digidesign Digi002 Firewire Recording Interface – $100+GST. Audient dual channel 31 band graphic EQ unit. Apex dual channel 31 band graphic EQ. Ashley dual channel 31 band graphic EQ. Alto dual channel 31 band graphic EQ. T.C. Electronics M1 dual engine multi effects unit. T.C. Electronics M350 dual channel multi effects unit. Reverb unit – T.C. Electronics M3000 dual channel FX unit. Yamaha SPX900 multi effects unit. Lexicon MP110 multi effects unit. DBX 166 dual channel compressor, gate, limiter. DBX 266 dual channel compressor, gate, limiter. BSS DPR402 dual compressor unit. DBX 163 single channel compressors. Drawmer DS 404 quad channel gate. CLE8.0 8 channel compressor, gate, limiter. CLE2.0 2 channel compressor, gate, limiter. ACL4 4 channel compressor, limiter. ACL2PRO 2 channel compressor, gate, limiter. LAB GRUPPEN 2000C dual channel amplifier. LAB GRUPPEN 4000 dual channel amplifier. QSC PL380 dual channel amplifier. LAB GRUPPEN 1200C quad channel amplifier. Carver PT1250 dual channel amplifiers. Double 18 subs 3000 watt RMS (dBTechnologies DVA S30 with RCA drivers) – active – $200+GST each. Line array speakers 12″, 2×6.5″ and 3 x1.5″ 1500 watt RMS (dBTechnologies DVA T12 with RCA drivers) – active – $150+GST each. Double 18 subs (Proel TFL boxes with B&C drivers) – passive. Double 15 subs (Proel TFL boxes with B&C drivers) – passive. Single 15 subs (Proel TFL boxes with B&C drivers) – passive. Double 18 subs (Carvin TRX/B52) – passive. Double 12 and 1.4″ horn (Proel TFL Boxes with B&C Drivers) – passive. Single 18 Subs 1000 Watts RMS (dBTechnologies) – active – $90+GST each. Double 12″ and Horn FOH speakers 1000 Watts RMS (dBTechnologies) – active $75+GST each. Concentric stage monitors 12″ (Quest) – passive – $50+GST each. Studio monitoring speakers (Quested S7) – active. Studio monitoring speakers (Tannoy System 600) – passive. Studio monitoring speakers (Tannoy Reveals) – active. 12″ and horn speakers 500 watt (JBL PRX ) – active – $75+GST each. Powered speakers – 12″ and horn speakers 1000 watt (EV) – active – $75+GST each. 12″ and horn speakers 500 watt (FLASH12HA) – active – $75+GST each. 12″ and horn speakers – 250 watt (FLASH12A) – active – $75+GST each. 15″ and horn speakers – 1200 watt (dBTechnologies – Opera15) – active $75+GST each. 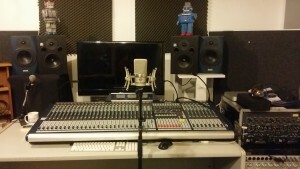 Audio equipment hire, newer items may not be listed hence please call if you are looking for something in particular. AKG C414 large diaphram multipattern studio condenser microphone. Audio Technica AT4050 large diaphram multipattern studio condenser microphone. Audio Technica AT4041 small diaphram studio condenser microphone – $20+GST each. Rode NT5 Small Diaphram studio condenser microphones. Rode K2 large diaphram tube studio condenser microphone. Rode NT2 large diaphram studio condenser microphone. NT1000 large diaphram Rode studio condenser microphone. Sennheiser MD421 dynamic microphone – $20+GST. Shure Beta52 dynamic kick microphone – $25+GST. AKG D112 dynamic kick microphone (Egg) – $20+GST. Audio Technica ATM25 dynamic kick microphone – $15+GST. Audio Technica ATM23HE dynamic microphones for tom/snare/guitar. Shure Beta58 dynamic microphones for vocals – both standard corded and BLX wireless systems. Shure SM58 dynamic vocal microphones for vocals – both standard corded and BLX wireless systems. Audio Technica Artist Elite series 6100 dynamic microphone for vocals. Audio Technica Artist Elite series 4100 dynamic microphone for vocals. ATM410 dynamic microphones for vocals. Shure Beta58 microphone wireless system. Sennheiser G2 Wireless Systems with either handheld microphones or beltpacks w/headset or lapel microphones. Sennheiser G3 Evolutions series wireless microphones with either handheld microphones or beltpacks w/headset or lapel microphones. Shotgun condenser microphones with Royer a professional wind accessories. Shure BLX beltpack transmitters with WH20 headset microphones. Sennheiser EW100 transmitter that turns any dynamic microphone that is plugged into it into a wireless microphone! PAR56 long or short polish or black par cans. PAR64 long polish par cans. PAR64 DMX controllable LED par cans. PRO PAR64 – professional par cans with barn-doors and accessories. Theatrelite lighting control desk – Theatrelite – $50+GST. 48 Channel lighting control desk – Proel – $50+GST. 24 Channel lighting control desk – Theatrelite – $50+GST. Theatrelite dimmer pack – 6 channels. DMX controllable 4 channel dimmer bars – $10+GST per channel. follow spot – $75+GST (comes with stand). Projectors – VGA 2500 Lumins – panasonic or viewsonic – $75+GST each. Projectors – HDMI or VGA 3300 lumins – panasonic – $100+GST each. Large screen 4:3 screen 3 x 2.25 m.
2.5m quad truss with base plates. 3m scaffold pipes with base plates. Ampeg SVT VR – Anniversary edition – bass amp head – $75+GST. Ampeg SVT Classic 8×10 bass cabinet – $75+GST. Mesa Boogie 400+ Bass head – $75+GST. Ampeg SVT Classic bass amp head – $75+GST. Ampeg SVT Classic 4×10 bass cabinet – $50+GST. Fender Twin Silverface 2×12 combo guitar amp – $75+GST. Fender “The Twin” 2×12 combo guitar amp – $75+GST. Fender “Hotrod” Deville 4×10 combo guitar amp – $75+GST. Vox AC30 HW2X with Alnico Blue speakers – $75+GST. Vox AC30 – standard – $75+GST. 2.4 by 1.2 meter staging pieces to make stages, risers, platforms and catwalks – $70+GST. 1.8 by 1.2 meter staging pieces to make stages, risers, platforms and catwalks – $50+GST. Legs of various heights available – customisable, ask for a quote (30cm, 50cm, 90cm) – included with the risers above. 4.5 by 3 meter Pop up marquee – $75+GST. 6 by 4 meter Pop up marquee – $250+GST. 6 by 6 meter Springtop marquee – $350+GST. Ask us for a quote – We are a one stop shop for production for small to medium sized events and performances. We can take care of the technical side of production for you and make sure everything runs as smoothly as possible. Own or Manage a Venue? Do you need a sound system or lighting solution? We can help you with your week to week production needs and are very flexible to work with. Customised installation solutions available – short or long term hire/lease as well as sales. Hire before you make the decision to buy, not only does this allow you to claim it as an expense, but this way also ensures you are getting exactly the right stuff for your venue the first time!